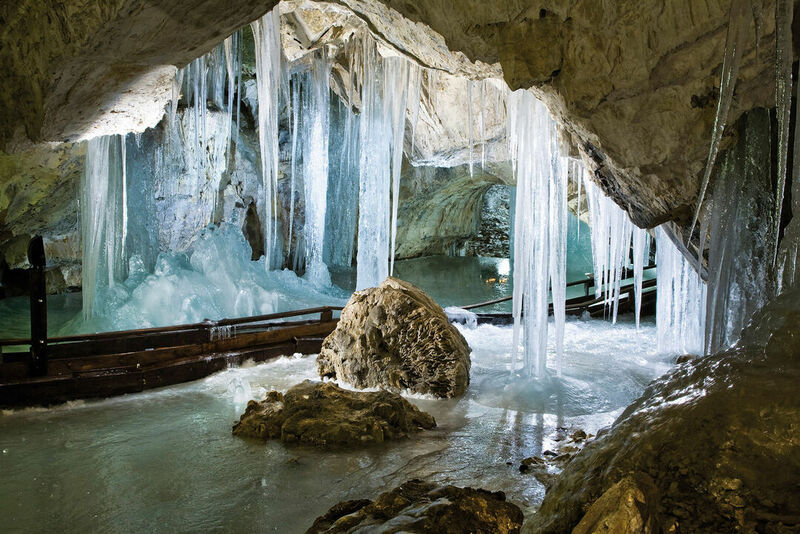 The cave known since the Middle Ages is the second largest cave of its kind in Slovakia. Though the first reference to it is from 1299, it was opened to the public only in the 1880's. The entrance is at the altitude of 840 m, about 90 m above the bottom of the valley. The winding path leading to the cave starts at the parking lot. It consists of four floors with a total length of 2.5 km; the route around the cave is 850 m long and seeing it takes 45 minutes. Its ice filling is about 400-500 years old. The Demänovská ľadová jaskyňa cave is also known for the bones of cave bear found there. They were taken for remnants of drake in the 18th century. It is the reason why it was also called the Dragon Cave. Ten species of bats live in this cave. 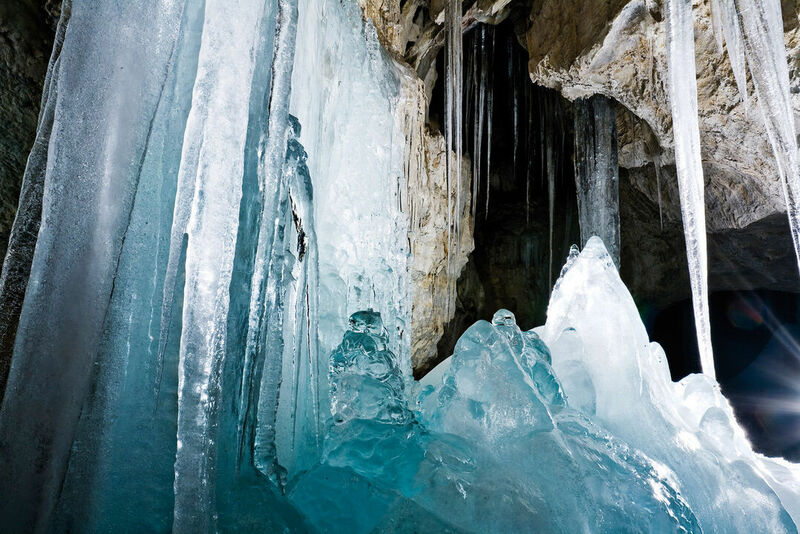 Especially charming is its lower part called the "Freezer" with icicles and ice waterfalls. Instructive path, which also leads to the cave, provides additional information about this natural phenomenon. Valley Demänovská dolina is the most famous and the most visited valley of the Low Tatras. With its length 15 km it is the main centre of tourist industry in the northern part of the Low Tatras. It is situated between the peaks of Ďumbier (2043m), Krúpova Hoľa (1927m), Chopok (2024m), Dereše (2003m), Poľana (1889m). The valley is part of the National park The Low Tatras. Beside its scenic landscape carst Demänovský kras and lake Vrbické pleso are the most important and worth seeing.